Harrod’s may be the most iconic of London’s retail establishments, but don’t let that keep you from visiting other locales. If you’d rather avoid the crowds and get a true taste of what Britain has to offer, try these lesser-known alternatives. 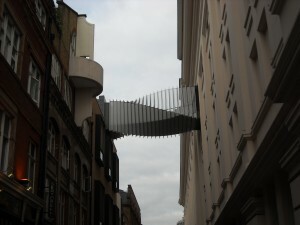 Covent Garden: If you’re looking for quaint oddities amongst architectural splendor, look no further than Covent Garden. Its stalls (centered in the Apple Market section) offer everything from collectibles and antiques to traditional handicrafts with a modern twist. There are a number of cafes and small shops as well, including a store entirely devoted to nautical paraphernalia as well as a subterranean Lush Cosmetics. Simply seeing the sheer number of sparkling soaps they manage to cram into the underground catacombs is worth the visit . Street performers and magicians also regularly grace the plaza their displays […]. To read the rest of the article, head on over to Travelhoppers.